Spades is one of the most popular classic card games. The most familiar version of this game is four handed, played by two sets of partners opposing each other. Several years ago a two-handed variation for Spades was created. It was intended to take care of those situations when two partnerships were not available and two players still wanted to play Spades. Sometimes called "Honeymoon" Spades, this new version provides an opportunity to practice strategy and counting skills. Interestingly enough, there are some Internet sites which feature different "Honeymoon" games and an opportunity to play against the computer. Here is how to play Two-Handed Spades. After removing the Jokers, thoroughly shuffle the deck. "Cut" the deck to determine the first "Dealer." The deal will then alternate. Spades are always trump and there are no Bags or Nil bids. High card wins every trick. The regular game consists of the best of three hands, although a longer match may be selected. A typical hand will require approximately 15 minutes to complete (draw and play). 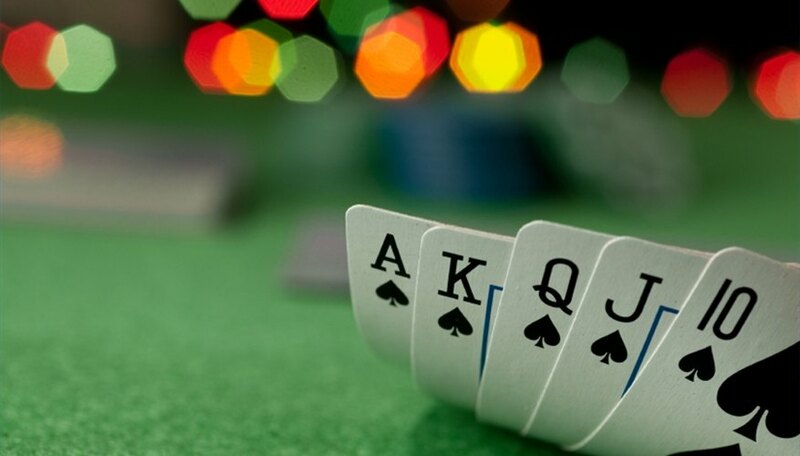 At the beginning of a hand, neither person has any cards. Each will "build" a 13-card hand by drawing, selecting and discarding cards alternately. The idea is to win a hand by taking at least SEVEN of the 13 tricks available. The winner of the high card "cut" now draws the first card from the top of the deck or "stock." If he likes that card, he may choose to keep it. However, he must discard the NEXT card from the stock after looking at it. If he does NOT like the first card drawn, he may opt to discard it. Now he must KEEP the next card from the stock. There is NO option to look at both cards at the same time and select the better one. After the first player has completed his turn by selecting the top card or discarding it and taking the next card, his opponent now draws the next card from the top of the stock--and he will have the same choice-- take the first card drawn or discard it and accept the second card drawn. Each player now has one card. The first player now selects (in the aforementioned manner) what will become his second card of the hand. Then the second player takes his turn. Back and forth they go, alternately, until each person has a 13-card hand. Trump (Spades) are King! Never turn down a trump! The lowly deuce of Spades is a valuable card. (If you turn it down you may draw a worthless low card of a side suit.) Aces and Kings of side suits are also important. As for Queens of side suit, it starts to get "iffy" here. Keep a Queen of a side suit which you already have in your hand. Do not keep a Jack or any lower card of a side suit if this is part of the first draw. After each person draws his or her hand, the game begins. The person who drew first also has the opening lead of that hand. Any card may be played. Suit must be followed; otherwise, a trump may be used if you are void of the suit led. As mentioned above, the object is to win at least seven tricks. The hand sends when either player takes seven tricks. Points are not used; only wins count. Then the deal passes to the other player. If you have strong, connected side suits (A-K-Q or K-Q-J-10) play this suit, as you are not throwing away any tricks in that suit. Try to create voids in your hand, as you may be able to win small spades. Do NOT lead from "broken" suits which have combinations such as the A-Q or K-J. Make your opponent lead these suits to you! Keep track of which high cards have been played. If you have a strong trump suit, play it to strip Spades from your opponent's hand. Then you can run your side suit winners. During the draw, remember which high cards or trump you were forced to discard because you chose to accept the first card. Watch the number of tricks you and your opponent have taken. If you can force him into the lead at a key juncture, it may be favorable to you. Although this is a "fun" game, keep your eyes peeled for revokes! Do not play out a hand which is lost; concede and move on to the next deal. I am an avid collector of playing cards, and card memorabelia. I founded the Grand Prix "live" Tournaments Organization nine years ago. I have played competitve "live" card game events for more than thirty years. I also wrote complete instructional books on Euchre, Hearts, Spades, Whist, and Barbu. In addition to card games, I am a numismatist, and enjoy researching U.S. coin history, as well as appraising coin collections. In my spare time, I listen to music, especially classical and jazz.